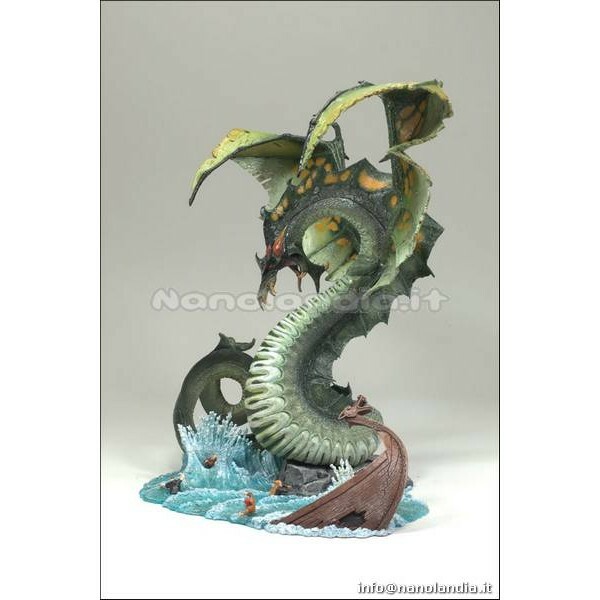 Within our on-line webstore we provide MCF DRAGONS 5 WATER AF produced by MCFARLANE TOYS, synonym of high quality, made ​​of PVC and furnished packed in a BLISTER. This is an occasion not to be missed for the fans! Intuitive and empathetic, Water Clan Dragons are, of course, great swimmers and as unpredictable as the oceans and seas themselves. 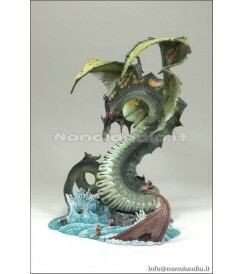 Habitat: Oceans, rivers and lakes.Height: The Water dragon rises out of the sea, standing 7 1/4" at top of raised wings. Wingspan is 8 3/4". Articulation: Head and base of neck, middle and base of tail. Hyper-detailed base includes sinking galleon and four men overboard.